Did you Know you can Pay Now and Save Later by Choosing the Right Battery? HomeGamma ChatDid you Know you can Pay Now and Save Later by Choosing the Right Battery? Do you underestimate the importance of choosing the right battery for your device? Batteries in mobile computers, handhelds and tablets should be replaced regularly. However, before you opt for that cheaper battery, you need to understand how you’re actually decreasing your savings in the long run. You can easily fix this by reading below to discover which battery you should be choosing and how to drastically save your money! Which battery will last longer? Lack of battery power can affect everything from customer service to profitability and in some cases even human lives. First responders and military personnel rely on voice-enabled mobile computers for critical communications as well as the collection of crucial data.It is important to understand that batteries for critical missions must be taken seriously. The stubborn and unpredictable behaviour of a battery leaves many users in awkward situations. According to reports, up to 50% of system breakdowns are attributed to a battery. The Association for the Advancement of Medical Instrumentation (AAMI) has identified batteries as one of the top 10 challenges facing biomedical departments in a hospital setting. Batteries need good care because even with the best upkeep, some packs die early and scientists don’t know why. Batteries exhibit human-like characteristics and their state-of-health rests on environmental conditions and user patterns. Most batteries follow the path of a gradual capacity loss that is predictable. Keeping them cool and applying moderate charge and discharge currents prolongs life. 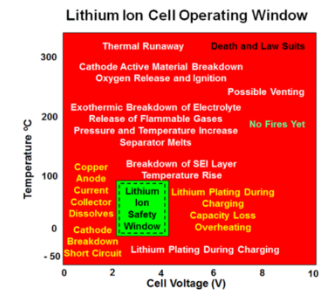 The performance of Lithium Ion cells is dependent on both the temperature and the operating voltage. Diagram 1 below shows that, at all times, the cell operating voltage and temperature must be kept within the limits indicated by the green box. Once outside the box permanent damage to the cell will be initiated. Rechargeable Lithium cells suffer from under-voltage as well as over-voltage. Allowing the cell voltage to fall below about 2 Volts by over-discharging or storage for extended periods results in progressive breakdown of the electrode materials. Heat is a major battery killer, either excess of it or lack of it, and Lithium secondary cells need careful temperature control. 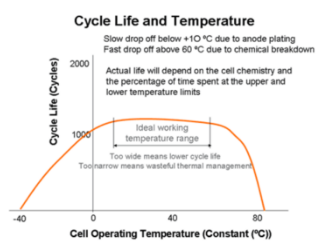 Diagram 2 shows that starting at about 15 ºC cycle life will be progressively reduced by working at lower temperatures. Operating slightly above 50 ºC also reduces cycle life but by 70 ºC the threat is thermal runaway. The graph shows that starting at about 15 ºC cycle life will be progressively reduced by working at lower temperatures. Operating slightly above 50 ºC also reduces cycle life but by 70 ºC the threat is thermal runaway. Device manufacturers have solved battery replacement in part with date stamping. The method is simple and moves inventory, but date stamping has flaws. Some batteries are in constant use delivering full discharge cycles, others are deployed for infrequent missions, and a third group sits on standby. To cover all cases, the battery stock is replaced after 2–3 years when most packs still have a capacity of over 90%. This adds to operational expense and causes environmental concerns. The drop in battery capacity is gradual and the fade goes mostly unnoticed by the user. Although some batteries feature a state-of-charge indicator, the reading does not disclose state-of-health. The capacity may have dropped to 50% and delivers only half the runtime, but the fuel gauge always shows 100% after a full charge. 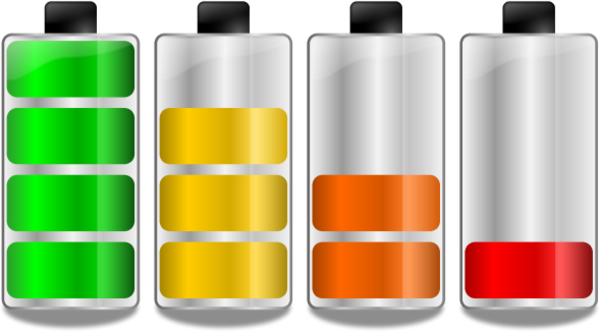 Capacity is the leading health indicator of a battery that, in almost all cases, also determines when it should be replaced. Proper battery monitoring and management is crucial in identifying which battery will last longer. Simply looking at the voltage is insufficient to draw a proper conclusion. Therefore, it is important to keep track from the beginning to have an efficient battery deployment. Contact Gamma Solutions today so we can detect battery problems in your inventory management devices from Zebra, Honeywell, Datalogic, Handheld Products, Panasonic, Explore and more.